We are excited to announce the launch of our brand new corporate website. This means there will now be a main informational hub for DAO.Casino, a fixed place for everyone to find information about the key benefits of the protocol and the platform. It will also be the quickest way to get all our latest news and insights. The main aim of DAO.Casino was not just to meet, but to exceed, all standards of the rapidly developing iGaming industry. Our team has covered a lot of ground in the past year and a half. Everything from developing a concept and preparing for an ICO, to releasing SDK for the Sandbox and creating a test version of DAO.Casino protocol. That’s why today, any developer can learn to build games on our protocol within a few days. The rest of the team have also been hard at work. 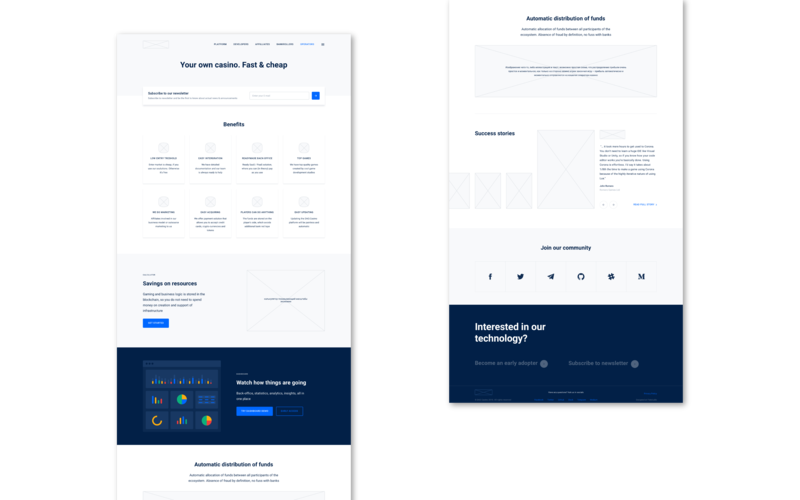 Below, you can see the process of developing the website, from early concepts and prototypes to the finished product. Among the various features of the website, we have specifically focused on delivering the essential information in a clear and effective manner. 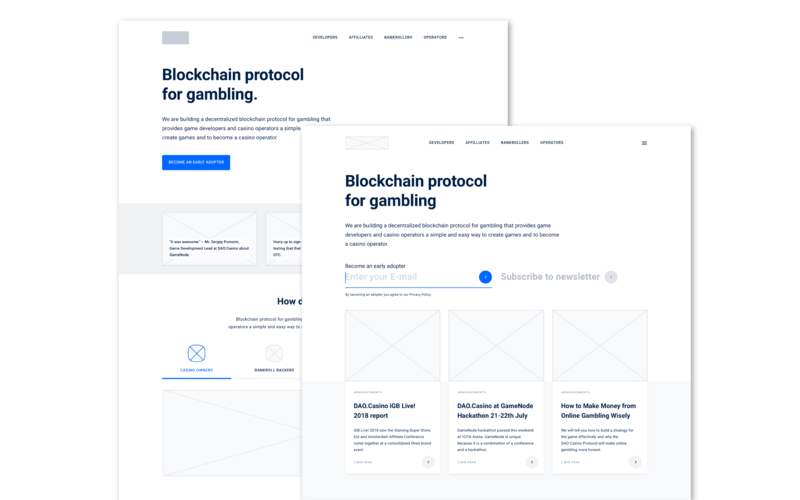 Every potential user of the DAO.Casino solutions can now easily look up all the information related to that user's “segment,” including developers, affiliates, casino operators and bankrollers. Although we are proud to announce the launch of the new website, we are not stopping there. Our future developments will be reflected in the functionality and appearance of this webpage, as well as in other products. Roadmap feature illustrates the progress of DAO.Casino. It is both interactive and functional, allowing site visitors to find specific moments in the past or explore future endeavors. The “Success Stories” section is set to launch just before New Year’s Eve. It will feature developers’ experience of developing games on the DAO.Casino protocol. Development of the protocol and the platform drives the production of the games. With developers creating more and more games, the need for a place that showcases them to potential customers arises. Hence, we have put lots of effort into making the game store look stunning. See the concept below. One of the most functional features on the website is “Bankroller Calculator,” which will become a handy tool for bankrollers to calculate their profits. We designed the calculator with bankrollers in mind, who will be using this tool on a daily basis. We are excited to announce the launch and hope that you like it! You too can take part in the development of the website. 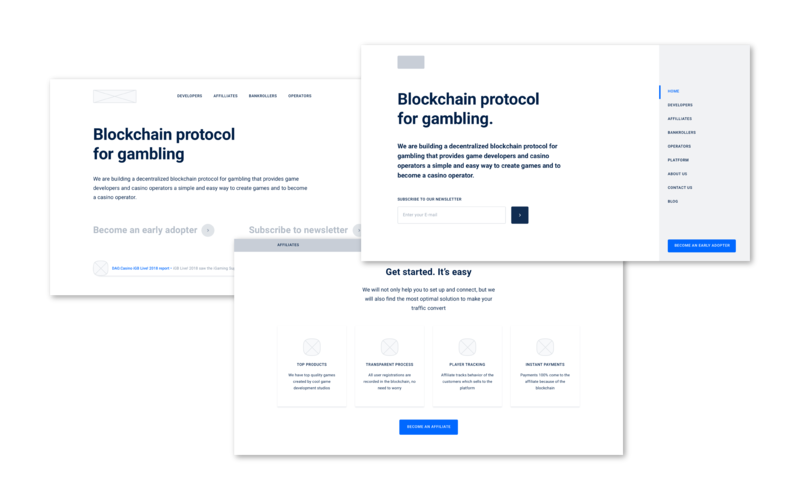 If you have any suggestions on how to improve the webpage, please, send us an email at support@dao.casino or leave a comment in this blog post below.